Blue Lyme GrassEvergreen grass. Slender upright stems from widely spreading rhizomes create a soft u..
Lyme Grass/Giant Wild RyeEvergreen grass. Native to coastal California. Slowly spreads by rhizomes. ..
California Native Creeping Wild RyeEvergreen grass. Slender upright stems from widely spreading rhiz.. Creeping Wild RyeEvergreen grass. Slender upright stems from widely spreading rhizomes create a soft..
Finescape Dwarf Mat RushEvergreen grass. Soft arching growth habit. 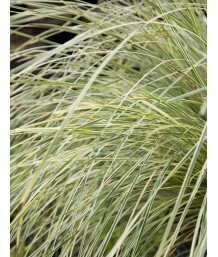 Very narrow green foliage is gra..
Seascape Mat RushEvergreen grass. Upright arching growth habit. 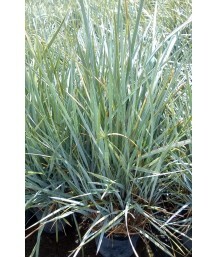 Delicate, thin, dark blue-grey grass..
Mat RushEvergreen grass. Wide dark green grassy foliage forms clumps. Creamy colored flowers or seed..
Mat RushEvergreen grass. Upright arching growth habit. Broad, yellow-green grassy foliage with small..
Mat RushEvergreen grass. Clumping, has both an upright and weeping form. Dark green foliage, yellow .. Dwarf Mat RushEvergreen grass. Upright growth habit. Soft, bright green grassy foliage with small ye.. Dwarf Mat RushEvergreen grass. Upright arching growth habit. Soft pine-green grassy foliage with sma..
Finescape Dwarf Mat RushEvergreen grass. Soft arching growth habit. Thin grey-green foliage is grass.. Dwarf Mat RushEvergreen grass. Upright growth habit. Narrow deep-green grassy foliage with small pal..